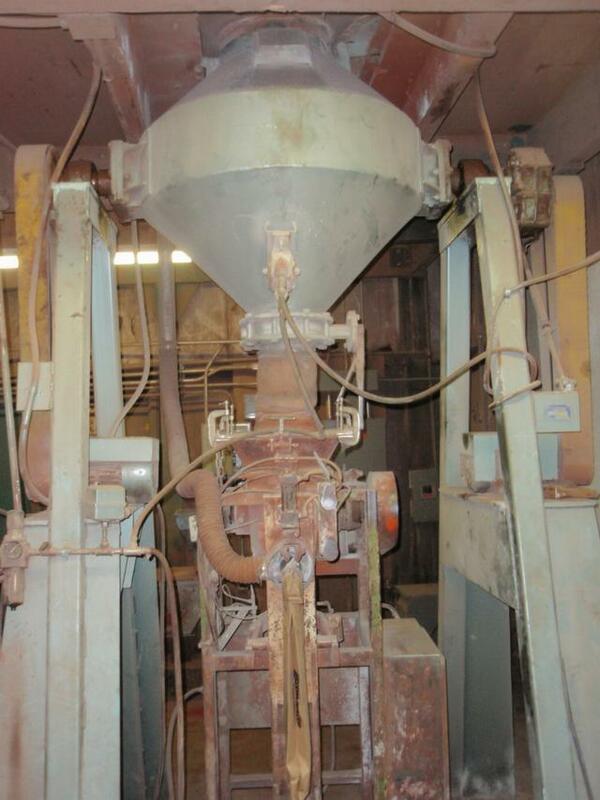 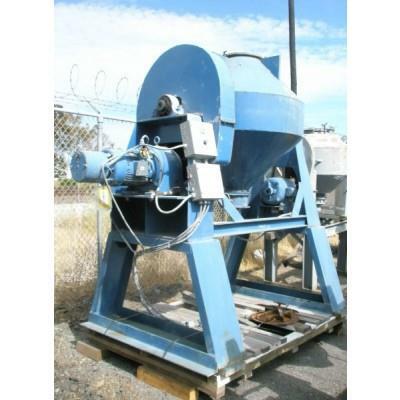 "5 Cubic Foot Working Capacity Stainless Steel Double Cone Blender By Patterson Kelly Company Inc. (East Stroudsburg PA.) Serial # 279744. 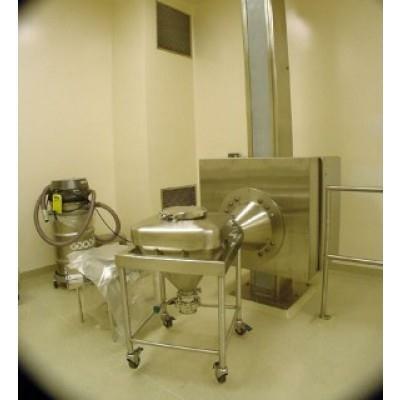 Features Polished Stainless Steel Shell For Food Grade Service, Rated For 200 Lb. 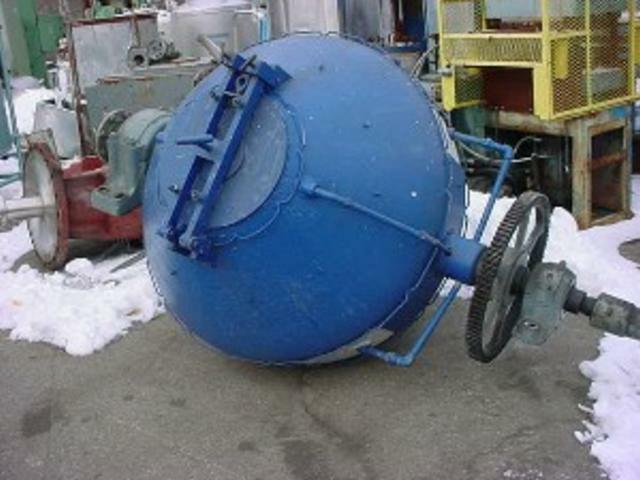 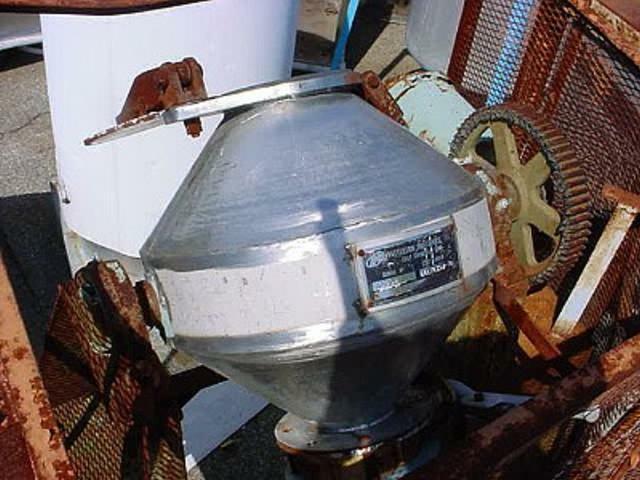 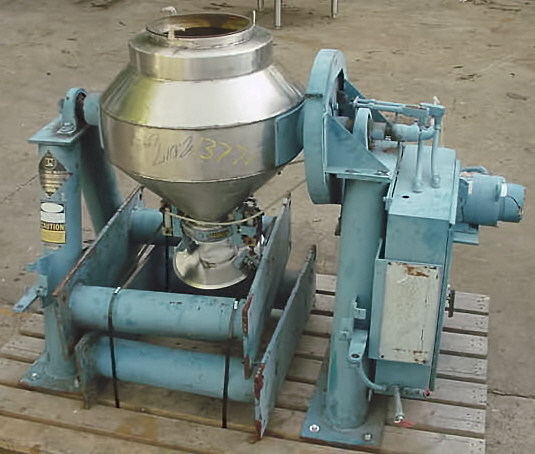 Per Cubic Foot Product Density, 30" Diameter X 32" Shell, 14" Charging Port With Removable Gasketed Covers, 6" Discharge With Pneumatically Operated Butterfly Valve, 16" Diameter Dust Lid With Pneumatically Operated Engagement, Mounted In Painted Factory Stand With 29"" High Extensions Yielding 44" Discharge Height, GE 1.5 Horsepower Drive Dc Drive (shunt Wound) 180 Volt With Gear Reducer And Magnetic Brake Chain Driving Shell."